A waterfront home might require a little more upkeep than one that's inland. You might be dealing with more land than before or a dock and beach that suddenly need upkeep as well. All waterfront homes are different, so make sure you're prepared to upkeep one. Waterfront homes sometimes have higher insurance costs. This could be because of increased flooding risk, or if you're in the southern U.S., severe storms such as hurricanes. Make sure you speak with your realtor before buying so you know exactly what insurance you will need, and that you're prepared to take on some extra costs. As with many homes, waterfront homes are often subject to rules established by a homeowners association (HOA). Before buying, it's important to make sure that you understand everything you're allowed to do with the home. Do you have a boat? Simply because you're on the water doesn't mean your HOA allows boats or even docks. Ask your realtor for these rules before buying so you don't run into roadblocks later. While your realtor will be highly knowledgeable about every property you're viewing, it's always a good idea to seek advice from people who have lived in the neighborhood. If the neighbors are around, make a point to ask them the pros and cons of living in the area. Is there anything they regret or wish they would've known before moving? This information is invaluable and can help you make the right home choice for you and your family. Waterfront homes in Tampa tend to be more expensive than those inland, so this might mean you need a bigger loan. Therefore, you'll need to be very qualified for a loan or lenders might not accept you. Be prepared for this extra cost and make sure you budget in plenty of time to be approved for a loan if you need it. Waiting on the bank can really hold up a sale, which means less time you'll be able to spend in your dream home. Before you even start looking at waterfront homes in Tampa, or any area, make sure you have a list of must-have features and hobbies that you want to be able to access from your home. For example, if you enjoy deep sea fishing, make sure you have a home that you can 1) store a boat at and 2) access the ocean from. Or, if you have kids that will want to swim around your property, make sure the water is clean and swimmable and that there's not a lot of boat traffic around. Having your priorities clearly laid out before you buy will make home shopping much easier and prevent you from having any regrets down the road. If you're heading to a more rural area in order to afford a waterfront home, you might run into some utility issues that you're not used to. While waterfront property is beautiful, it doesn't always offer the conveniences you might be used to. Utilities can be more expensive, especially if your home is in a more rural area. So double check that water, electricity, sewage, cable, and internet are all available where you're moving beforehand to save yourself a headache down the road. If you're purchasing a waterfront home in Tampa, or anywhere in the south for that matter, make sure you're prepared for all of the elements. Salt water can be damaging to a home, and there's always the threat of hurricanes. Make sure the home you're buying is up to code before making an offer, and that it has all the safety amenities you want, such as hurricane shutters, in case of an emergency. If the home you want isn't prepared to take on the elements, you will likely have to purchase things later to avoid high insurance premiums and huge maintenance costs. Many people are used to falling in love with a home when they're looking at real estate, but when you're shopping for waterfront property it should really be the opposite. Fall in love with the land first and the home second. A home can be adjusted to fit your needs, but water can't be changed. If you want a big backyard and also a beach for the kids to play on, make sure the home you're looking at has both of those. Even if it doesn't have the kitchen of your dreams, that can easily be renovated later on. It's more difficult to try and add in a bigger yard. When you're purchasing waterfront property, you need an expert on your side. A good realtor will answer all of these questions of you and more when you're purchasing a waterfront home. Ready to look for a waterfront home in Tampa? 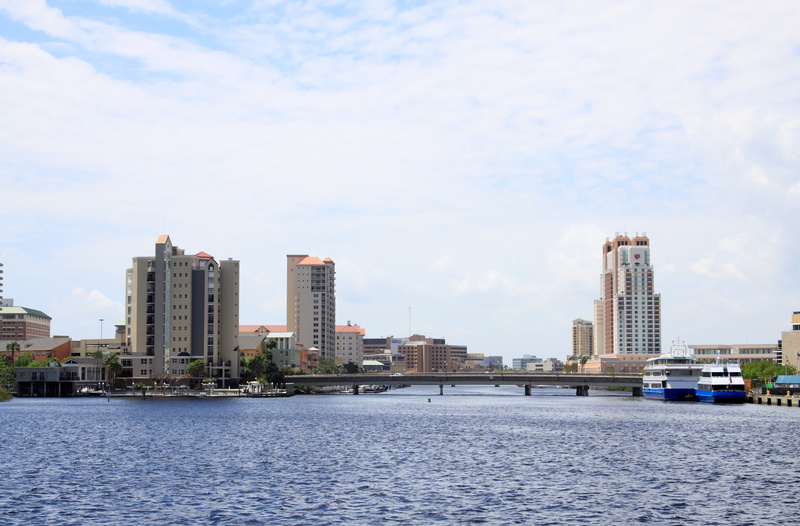 If you're looking for experts on purchasing waterfront homes in Tampa, look no further than Joe Manausa Real Estate. Our team is devoted to helping you find the best waterfront home for you. If you're looking for more information, do some research on our blog or contact us today so we can discuss your needs.